Discus fish like tropical water. Discus fish live in the Amazon river. 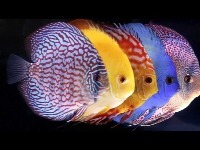 Discus come in a lot of colors.